Winter in Canada is full of new opportunities to get out there and explore. In Ottawa, commuters skate to work along the world’s largest naturally frozen ice rink; in Montréal, the subway gets taken over by public art for the month of March; across Québec, maple tapping and sugar shack parties mark the transition from winter to spring. Explore this interactive gallery to start planning your winter trip to Canada, a time when Northern Lights and incredible festivals are pretty much a given. Canadian winters set you up with unique opportunities to watch ice hockey championships and dog sled derbies, and to join in with the surfers taking on the best swell of the year off Tofino’s coast. Brilliant contests, tournaments — and yes, surf — happen from November to March. Here’s our pick of the best. Sunday evenings in this famous mountain town mean expert athletes flipping and twisting through burning rings of fire. 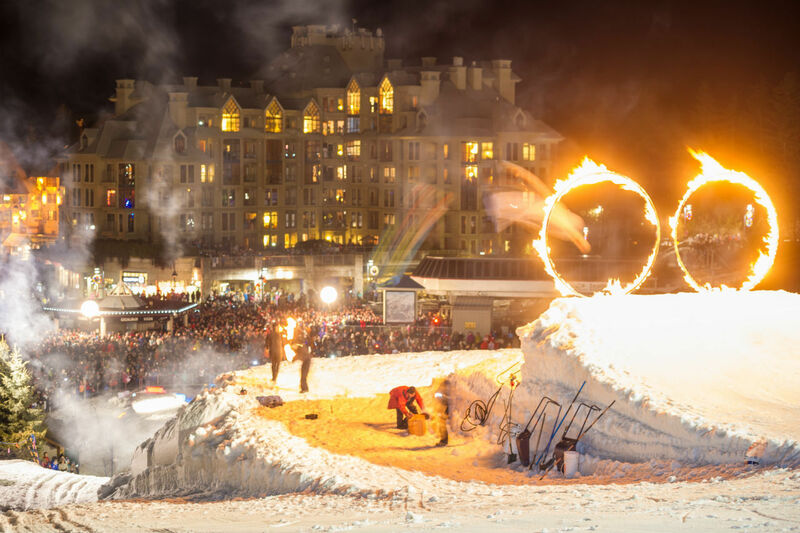 With performances by the talented members of Whistler Blackcomb's Ski & Snowboard School, this free event is also known for its fire spinners and live music. Vancouver Island sees the mildest winters in Canada, so don’t come expecting snow along its many miles of beaches. Instead, expect to be greeted by a year-round surf community making the most of the 22-mile break. In winter the swell is strong and consistent, meaning there’s every chance of catching brilliant rides. Just remember your wetsuit. You’ll probably want to rent booties, gloves, and a hood, too. We say “Name a quintessential Canadian sport,” you say “Hockey.” Right? Coming into its 11th year, the Canadian National Pond Hockey Championships sees players from across the country compete for the coveted Maple Cup over one epic weekend. Just north of the 62nd parallel, Yellowknife gets cold in the winter...so cold it hosts the coolest sporting event of all — the dog derby. 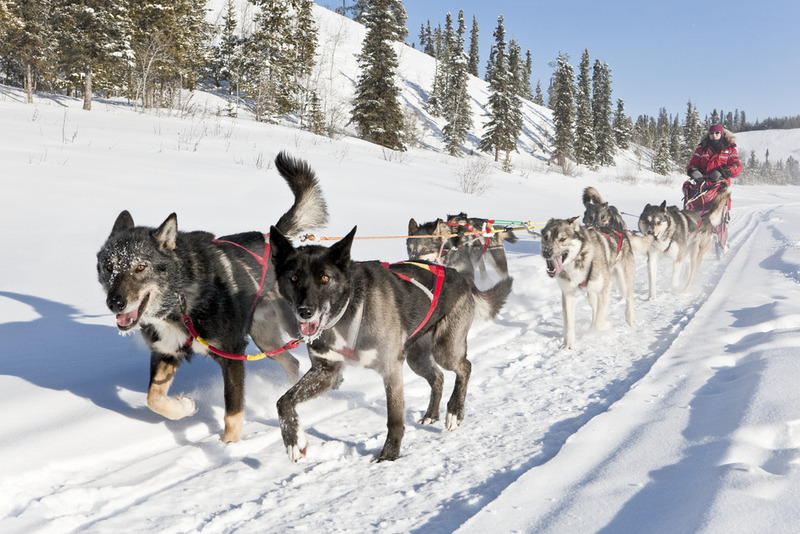 One of the oldest dogsled races on the continent, the Canadian Championship Dog Derby sees the best dog mushers in North America compete in 50-mile laps over frozen Great Slave Lake. Keeping cozy inside while snow falls against the window is amazing, but winter weather doesn’t have to mean low-key activities like reading books by the fire. 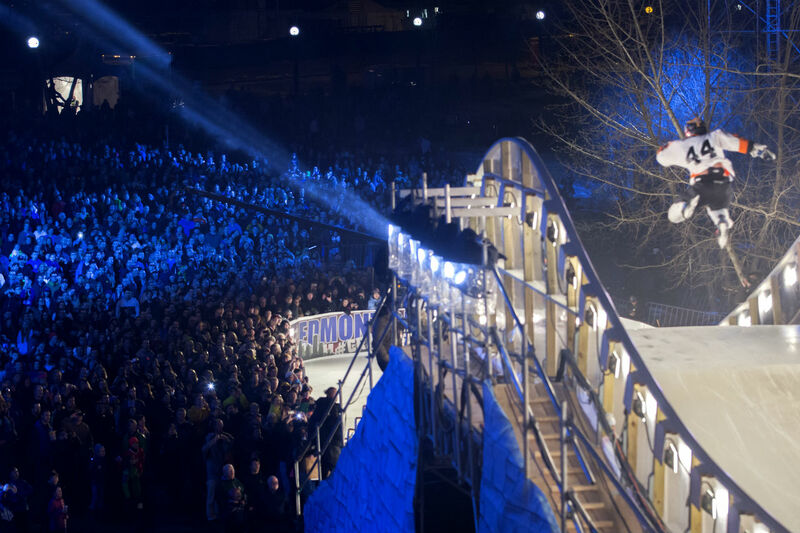 Canada’s cities are fully geared for unforgettable entertainment. 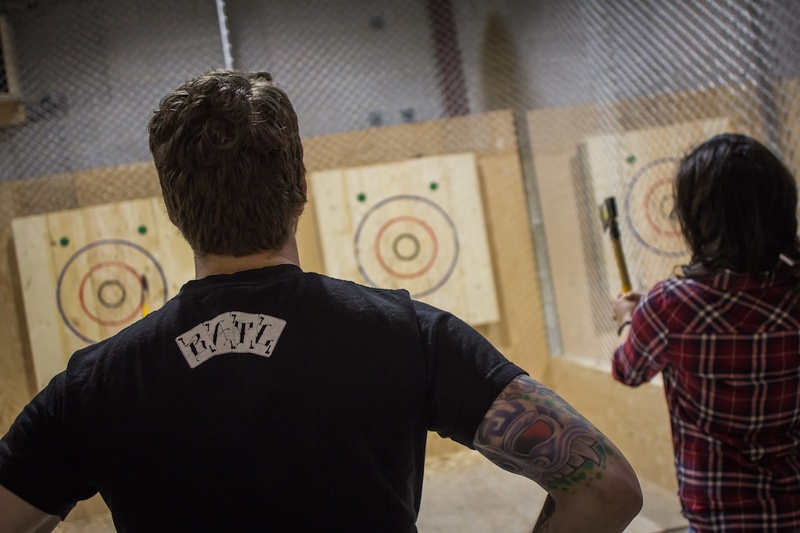 From learning the art of axe throwing in Calgary to embracing your inner Olympian just outside Vancouver, here’s how to stay inside and still make the most of winter. Vancouver hosted the Winter Olympics in 2010, and at the Richmond Olympic Experience you can relive the event at one of the most interactive sports museums on the planet. 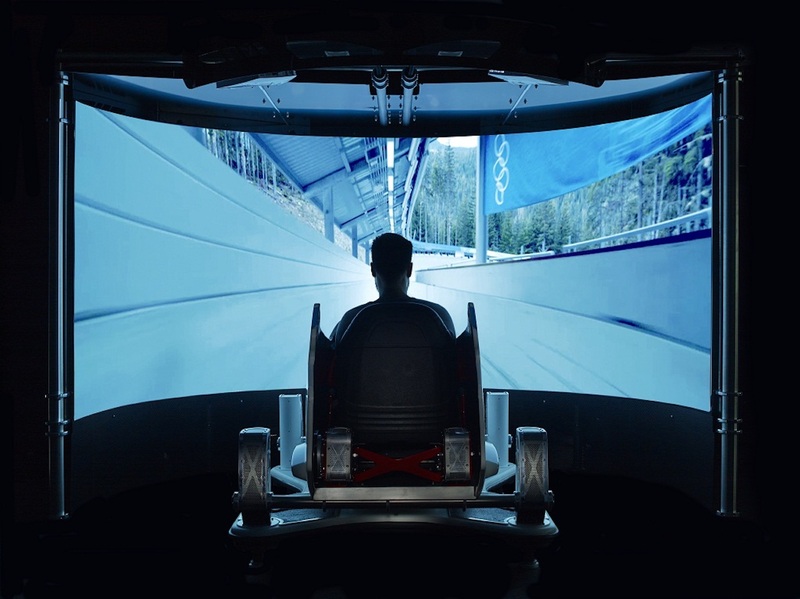 Take on virtual-reality simulators, designed in collaboration with pro athletes so you can recreate their actions, and see how it feels to be a top bobsledder or superstar ski jumper. 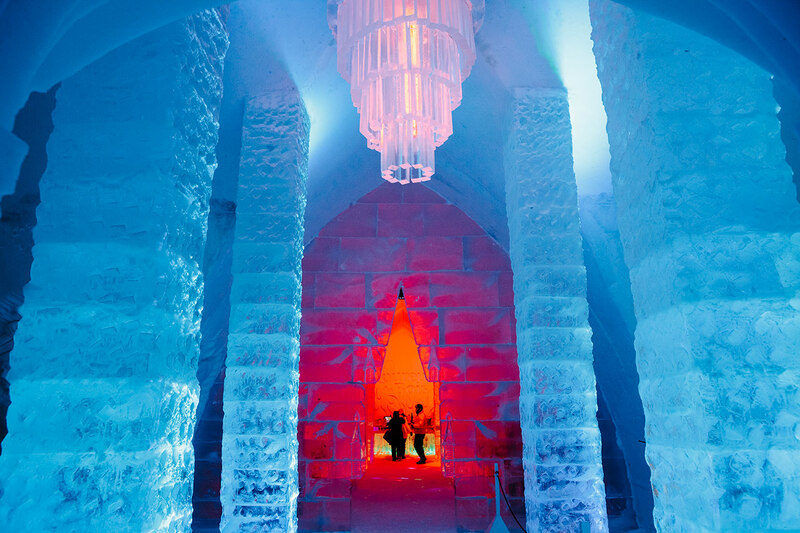 If Frozen came to life, it might look like the Hôtel de Glace. 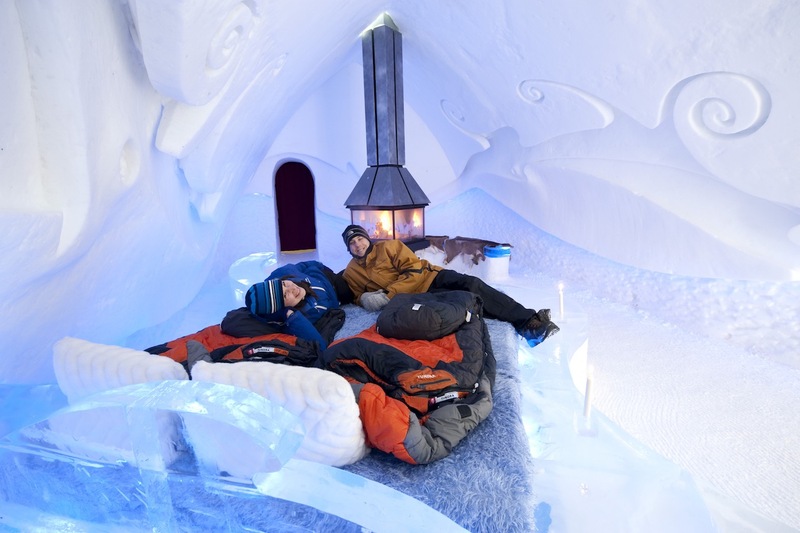 Sculpted anew each winter from 500 tons of ice and 15,000 tons of snow, North America’s first ice hotel has its own wedding chapel, an outdoor spa and sauna, a giant ice slide, an ice bar, and 44 rooms and suites to choose from. It’s like darts, but with extra Canadian flair — hurl your axe at the target and if you’re closer to the center than your friends, you could win a spot on the podium and major bragging rights. Bring your best plaid shirt for this event. 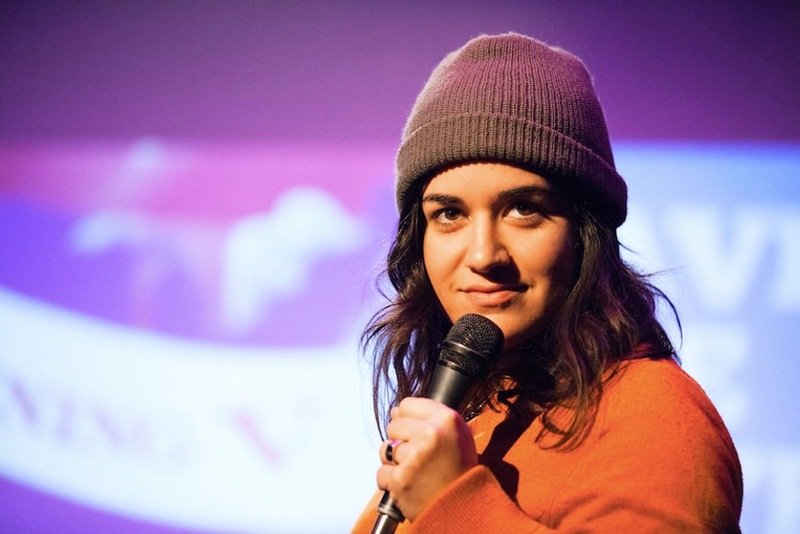 With alumni like Tina Fey and Bill Murray, Toronto’s The Second City is a top-notch comedy club — but it’s just one of dozens of thriving venues that host improv, stand-up shows, and everything in between. From Absolute Comedy to The Social Capital Theatre, you’ll want to check out at least a few of these spots. And it’s not just Toronto that’s famous for its comedy scene. Also check out Edmonton, Vancouver, and Winnipeg for belly laughs. Some of the best best Canadian foods — like Icewine and maple syrup — come to fruition in the winter, and there’s a whole host of parties and events across the nation celebrating them. 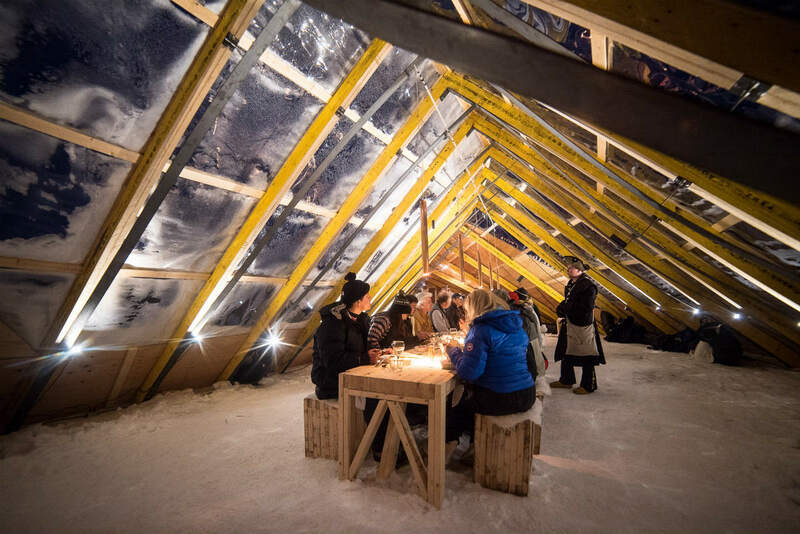 From Icewine festivals to sugar shacks across Québec, here’s where to check out the best of the winter culinary scene in Canada. 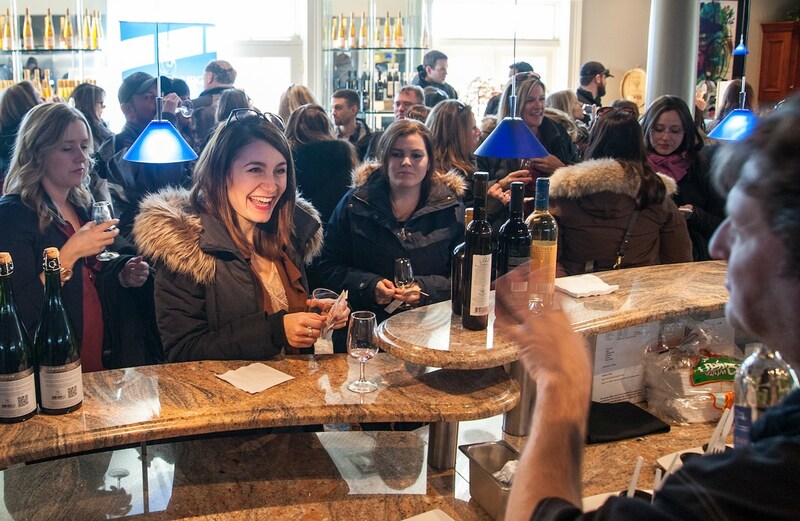 Celebrating seven local wineries, the Domaine de Grand Pré Icewine Festival gives you the chance to pair Nova Scotian wines — sparkling, red, and white as well as ice — with gourmet local dishes produced by top chefs. Also on the menu are bonfires, hog roasts, gooey raclette dinners, snowshoe hikes, and Icewine cocktails. Québec is the origin of nearly three-quarters of the maple syrup produced in North America, and the “sugaring-off” season kicks off just before spring. Head to one of the approximately 200 sugar shacks across the province for a maple-heavy, all-Canadian meal. While you’re there, get involved and make your own maple taffy by pouring hot syrup onto fresh snow. The biggest annual food and drink festival in Canada, the Dine Out Vancouver Festival brings 100,000 foodies together for 17 days of brunch crawls, cocktail workshops, chef lectures, street food markets, cooking classes, and more. 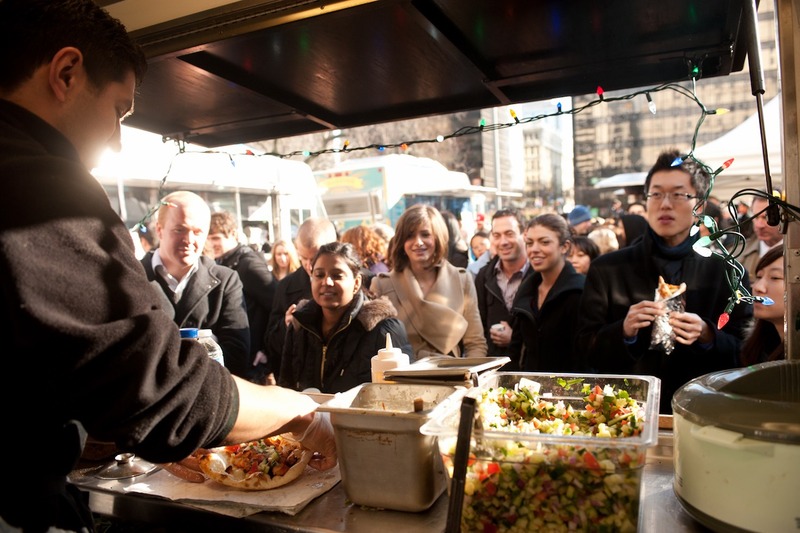 The whole city joins in on the action, with hundreds of local restaurants offering 3+-course prix-fixe meals for $20, $30, or $40 per person. For three weekends in January, Ontario’s Niagara region celebrates the local Icewine scene with gala evenings and food and wine pairings. 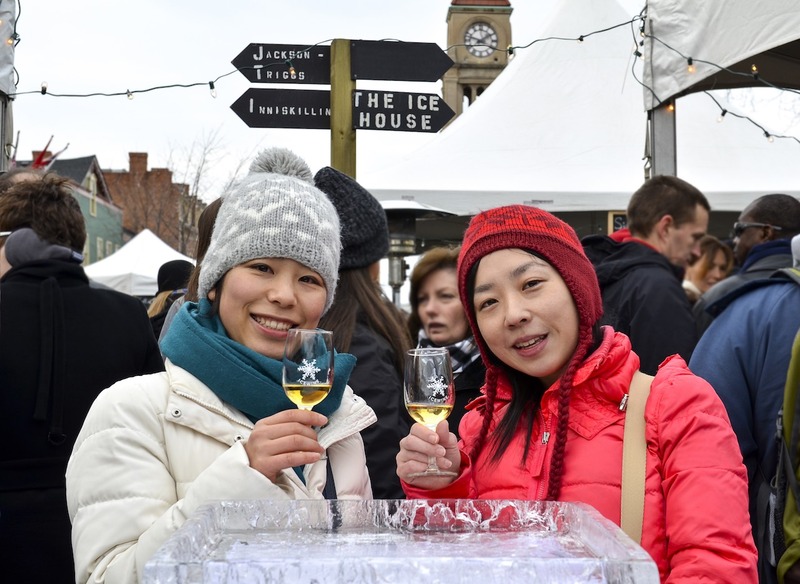 Take on the wine route, try some Icewine marshmallows, roast chestnuts, and visit the local ice bar for an awesome taste of winter in Canada. Canada’s cities gear up for the holiday season with European-style markets replete with mulled wine, local crafts, and live performances. What do they have in common? Tons of atmosphere. And the shopping doesn’t stop after Christmas. In March, Montréal’s Underground City, which connects hundreds of stores through a subterranean network of walkways, gets taken over by awesome art installations. Ranked by Condé Nast Traveler as one of the “15 best Christmas holiday markets around the world,” the Toronto Christmas Market in the Distillery Historic District sparkles with Christmas lights from November through December. Order mulled wine, browse locally handcrafted products, and pretend you’re basically in Germany. 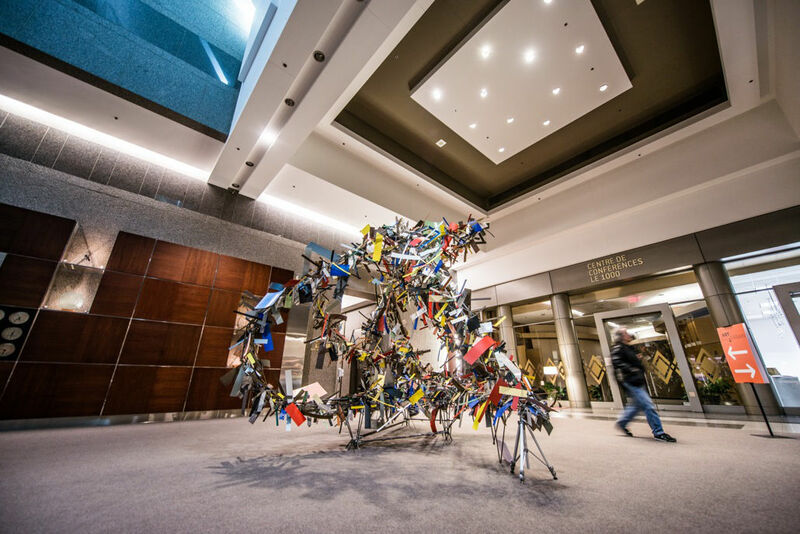 Art Souterrain is a 4-mile journey through Montréal’s Underground City that features contemporary photography, video, performance, and installations by contemporary artists. This year’s theme is Play & Distraction, and while the art isn’t for sale, the goods in the stores that run through this subterranean “city” certainly are. 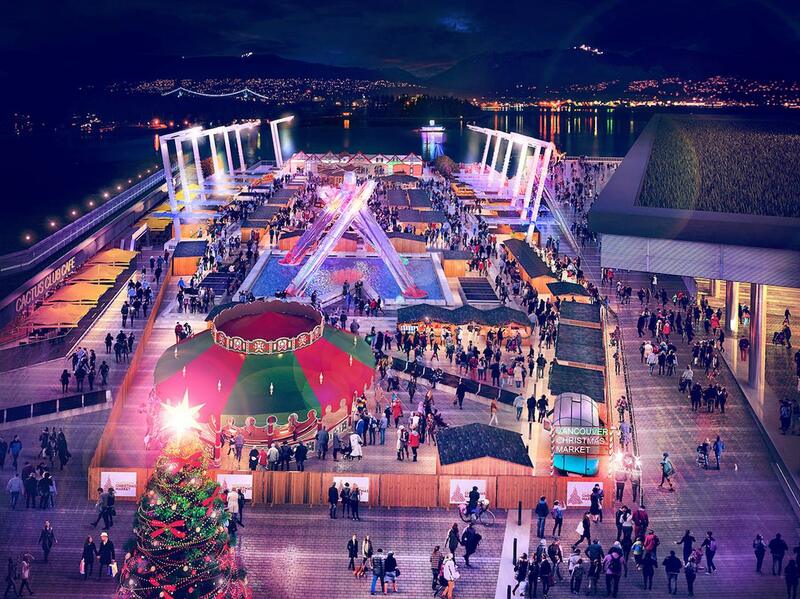 The 7th annual Vancouver Christmas Market will see more than 70 traditional wooden huts come to Jack Poole Plaza. There’ll be crafts, traditional German food, and hot Glühwein for sale. This year, you'll also see a 23ft-tall Christmas pyramid and daily Feuerzangenbowle demonstrations — the making of this mulled wine and rum punch features eye-catching preparations that include the caramelizing of a giant sugar cone. A little over an hour west of Toronto, St. Jacobs doesn’t just host the biggest year-round farmers market in Canada. 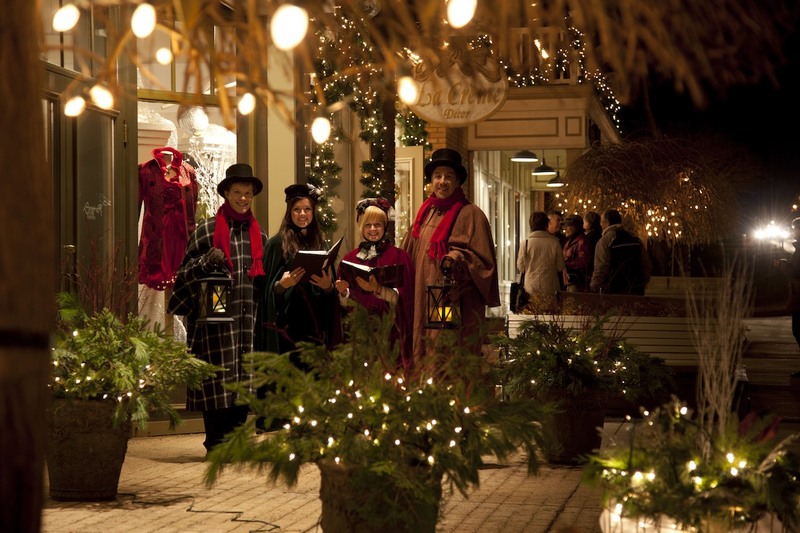 In late fall, it’s also home to a holiday village complete with Victorian carollers, horse-drawn buggies, festive food samples, and Christmas shopping. The winter festival season kicks off with the world’s biggest film festival dedicated to celebrating food. And it doesn’t stop there. 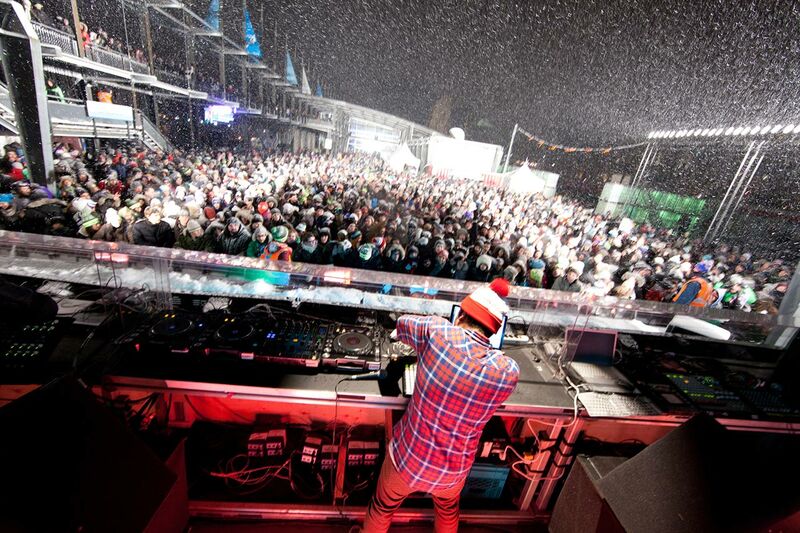 From huge skating parties to light festivals to Arctic Circle celebrations of the first sunrise in 30 days, Canada’s winter festivals are amazing. A five-day event taking place near the Bay of Fundy, Devour! 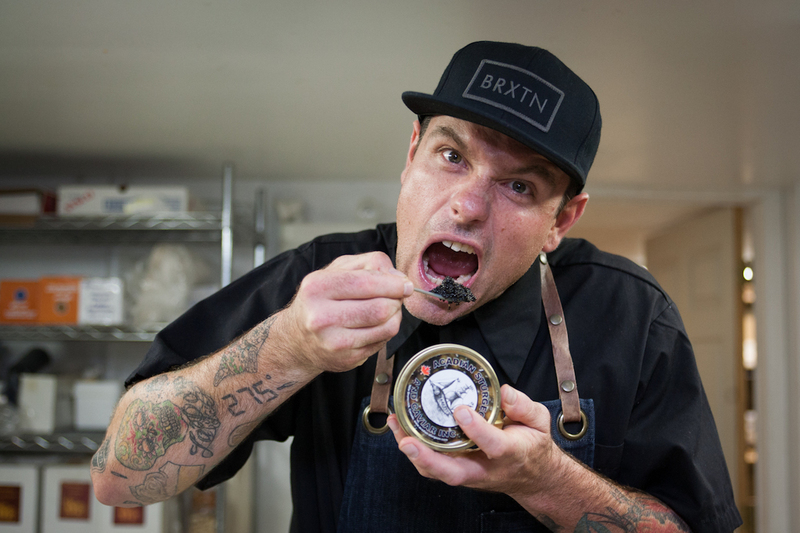 The Food Film Fest sees dozens of top chefs descend on the small town of Wolfville. 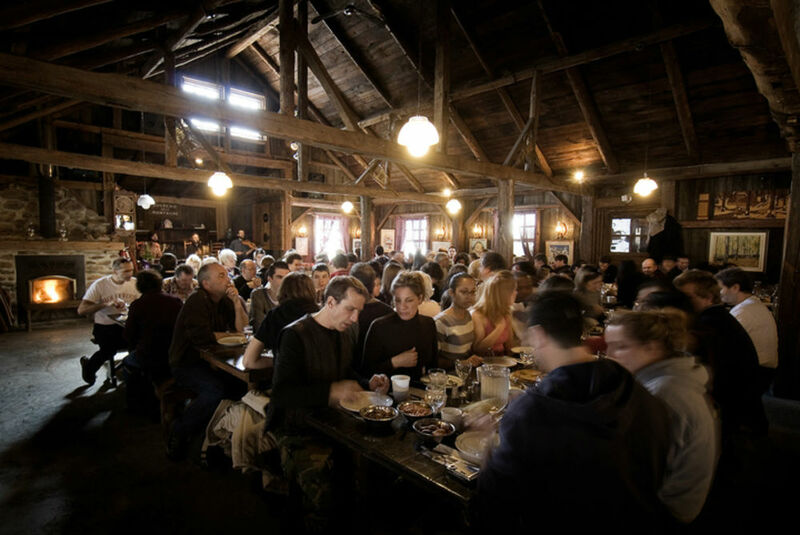 Founded by Slow Food Nova Scotia, this festival includes culinary workshops, dinners, more than 75 film showings, and excursions to acclaimed wineries, breweries, and farms in the region. 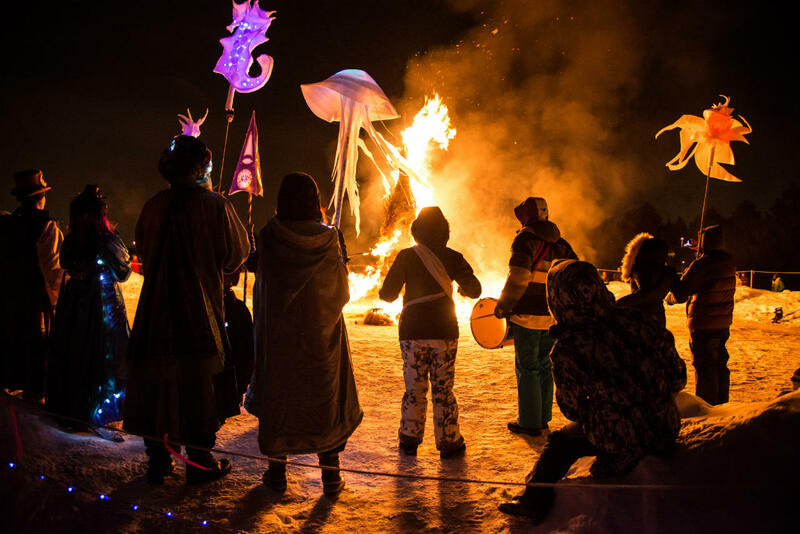 Hawrelak Park in Edmonton’s River Valley is home to a giant 10-day festival combining skating, art — think lots of ice sculptures — and culture. The longest running winter fest in the city, these days the event sees more than 100,000 join in on the action each year. 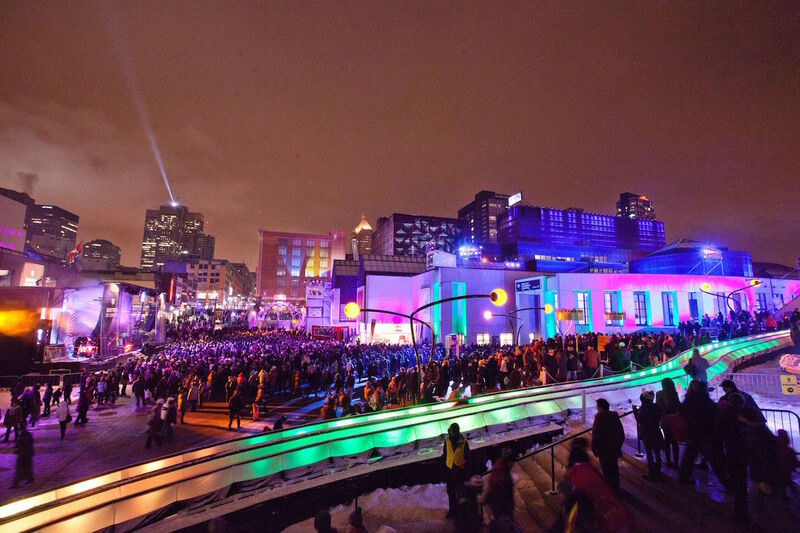 Montréal en Lumière is one of the largest winter festivals in the world. It’s practically a wintertime Mardi Gras, with around a million people celebrating during a month of live concerts, exhibitions, parties, and fireworks. Most events happen downtown in the Quartier des Spectacles, with Place des Arts at the center of the fest. 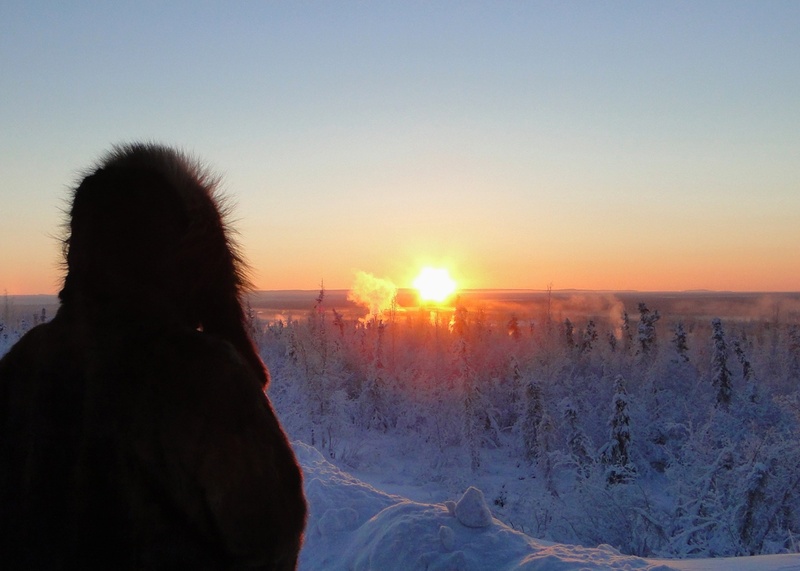 The town of Inuvik in the Northwest Territories sits 120 miles north of the Arctic Circle, and in December, when the sun sets for the final time that year, 30 days of polar night descend. That means it’s a big deal when the sun returns in early January — it's so exciting, in fact, that there’s a lively festival to commemorate it, full of music, dance, winter sports (even sunset yoga), and fireworks. If you’re thinking Canadian winter = cabin fever, think again, especially when there are so many amazing winter opportunities for outdoor adventure in the cooler months. From leading your own group of huskies through the snow-frosted forest to seeing ice carvers sculpt Chinese dragons, here are some great ways to get out there and explore. There aren’t many experiences more Canadian than learning to drive your own team of huskies through the snow. 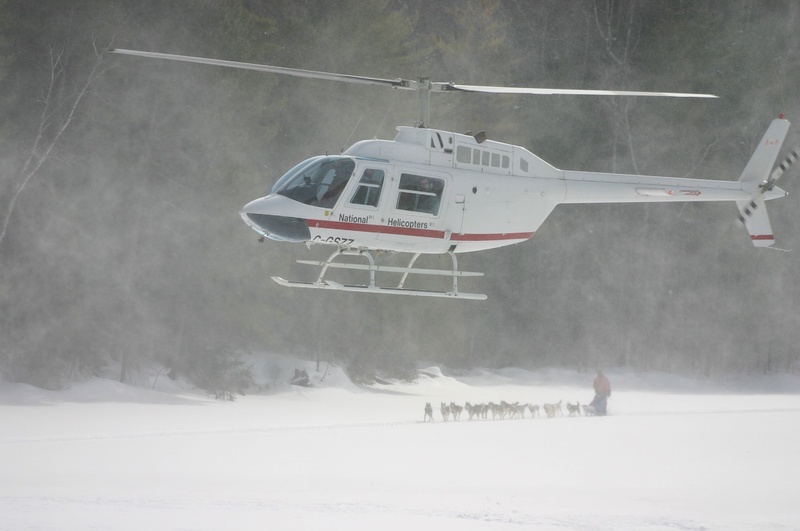 Drop into the Haliburton Highlands by private helicopter to do just that. Your guide will cook you a trailside lunch over a roaring fire — and if you’re lucky, you’ll hear a tale or two of life in the woods. Then it’s back to exploring the untouched lakes, valleys, and hills with your dogs before flying back to Toronto. It’s a good time to be in Canada’s oldest national park — those jagged mountains are extra good-looking when every crevasse is filled with snow. 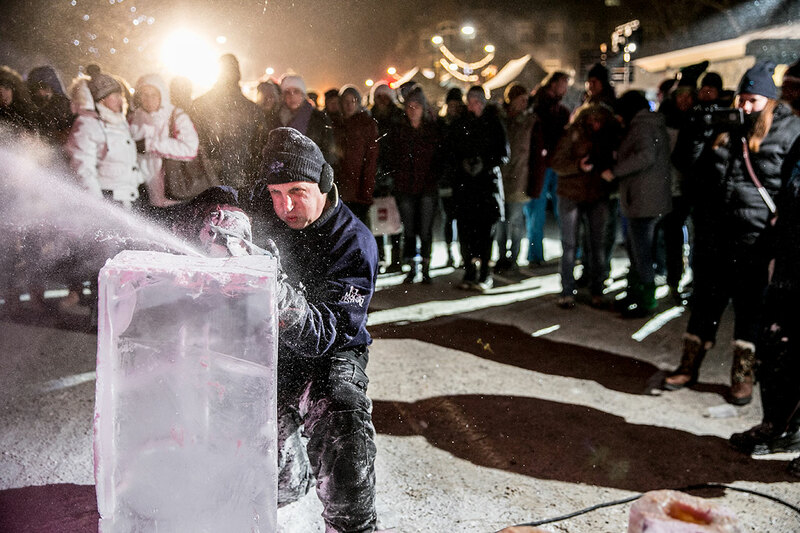 Banff celebrates the beauty of the season with SnowDays, a month-long party that sees skaters on Lake Louise and pro ice carvers from around the world compete in the Ice Magic Festival. There are few better excuses to get outside. 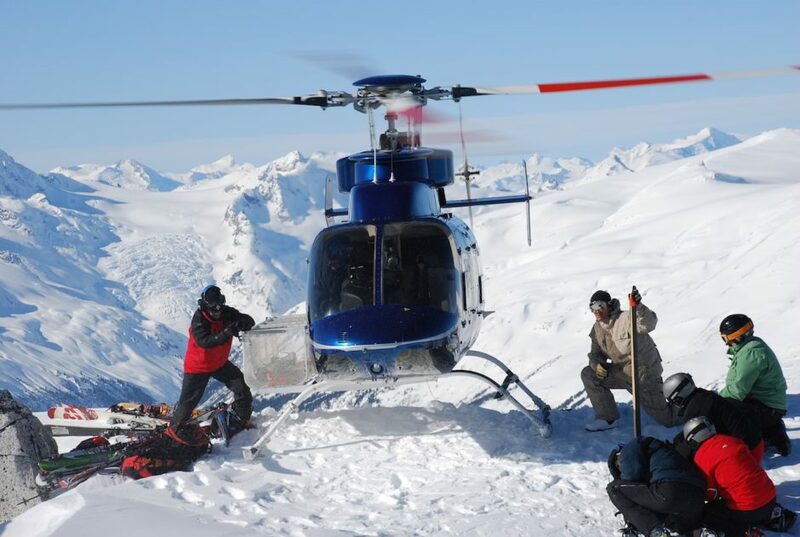 For an adventure between hitting Whistler’s slopes and the après scene, seek out Ziptrek Ecotours. 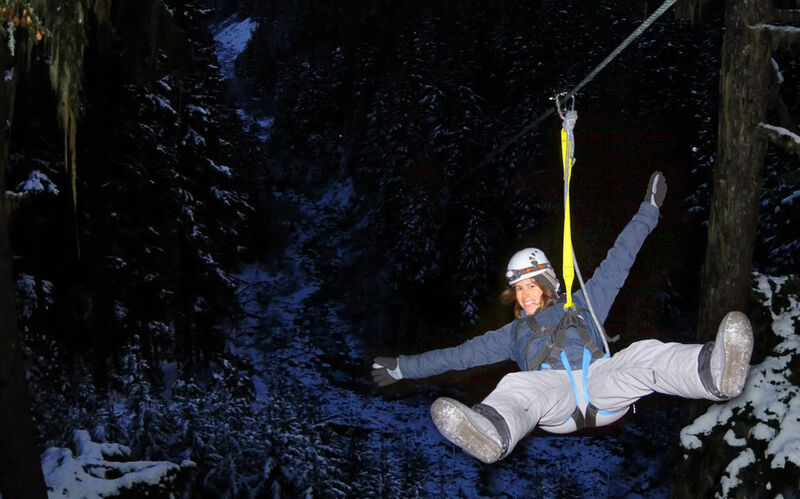 Headlamp at the ready, over three hours you’ll take on six ziplines and eight treetop bridges strung with twinkling lights and soar over old-growth temperate rainforest under a blanket of stars. Ottawa’s Rideau Canal isn’t just a UNESCO World Heritage Site. In the wintertime, it’s also the world’s largest (and most fun) commuter route, bar none. 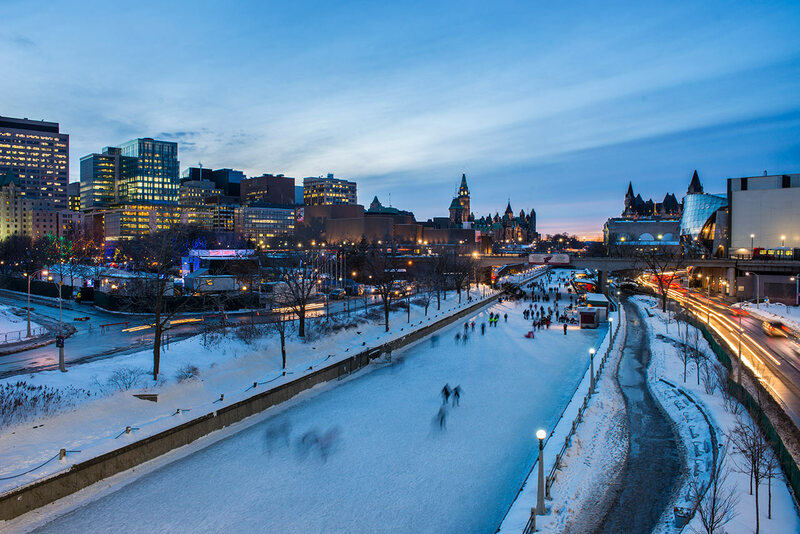 The Skateway runs for nearly five frozen miles from the heart of the city to Dow’s Lake, and there are huts selling hot chocolate, maple taffy, steaming soup, and warm BeaverTail pastries along the way. Japan’s snow monkeys spend winter hanging out in mountain hot springs. 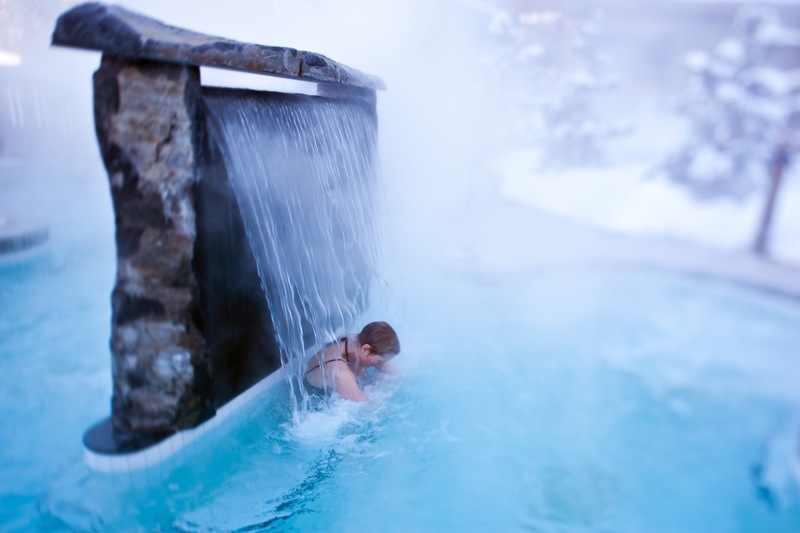 Canada’s skiers and snowboarders do much the same; all the big winter resorts have spas where you can relax those tired muscles in steam rooms and hot baths. Here are our favorites. 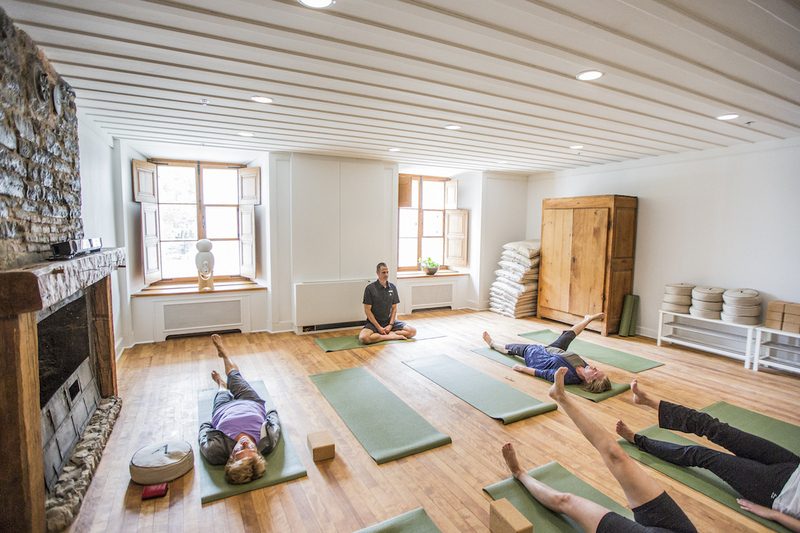 Set among 25 acres of maple, birch, and pine trees, there’s nothing quite like hanging out in the Finnish sauna at Scandinave while watching skiers take on the mountains above. 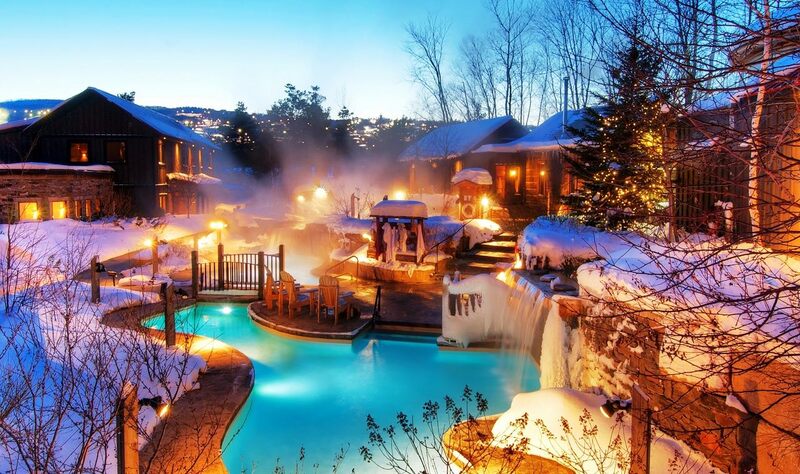 As well as hot baths and thermal waterfalls, there’s a eucalyptus steam room and a large menu of massages to choose from. 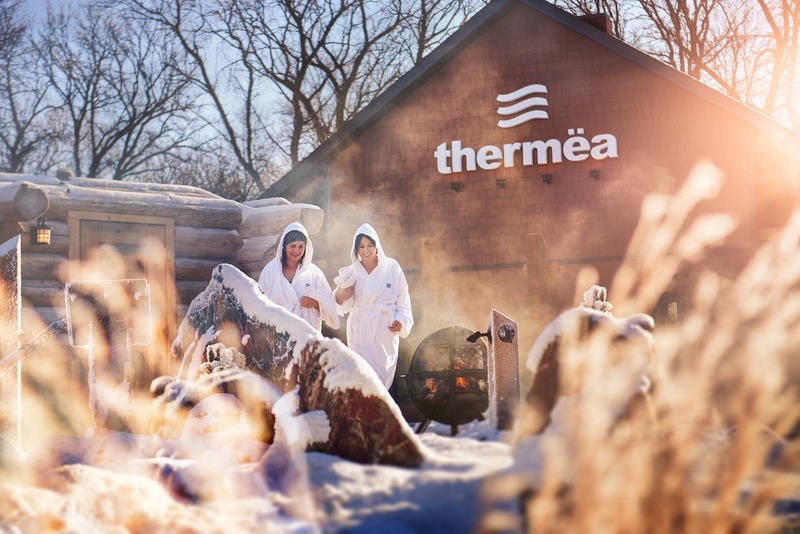 Less than 20 minutes from downtown Winnipeg, Thermëa has world-class thermotherapy facilities inspired by Scandinavian tradition, meaning there are baths of varying temperatures, waterfalls, a sauna, and a steam bath. It doesn’t get much more relaxing. 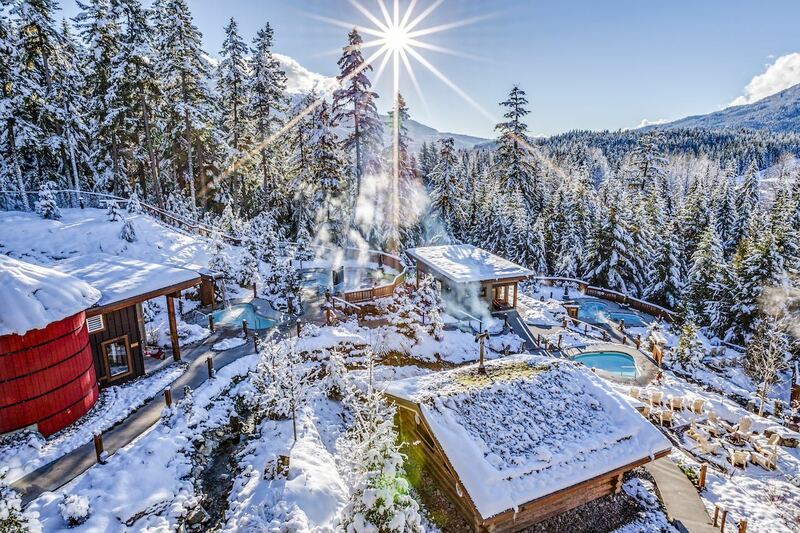 On the edge of Lost Lake near Whistler Village, this spa resort looks out over mountains and valleys, so you’ll have great views while dipping into hot baths and waterfalls, or while getting a massage — Swedish, deep tissue, Thai yoga…it’s up to you. Unique winter phenomena to look out for in Canada include the most extravagant Northern Lights on Earth, trees so laden with snow they resemble ghosts, and waterfalls frozen in time. Here’s where to find nature’s coolest, most surreal moments. 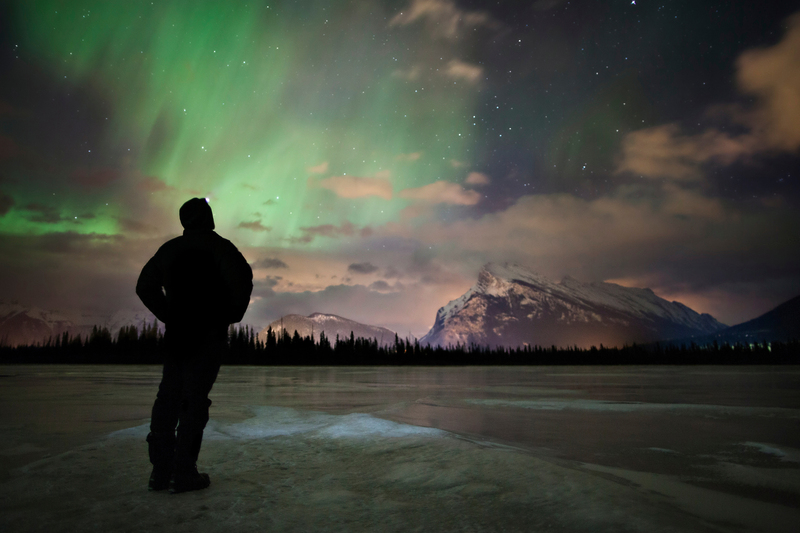 Situated right below the aurora oval, Churchill is one of the best places in the world to see the Northern Lights. And there are a huge variety of ways to do it: from a plexiglass-covered Aurora Dome, in a heated tundra vehicle on an overnight adventure, from the open-air deck of the Churchill Northern Studies Centre...just to name a few. At the northwestern edge of downtown Vancouver, Stanley Park sees more than 8 million visitors a year, but you won’t know it when you wander some of the lesser-known trails that meander between massive cedar trees. The beaches, trails, and Canada’s largest aquarium are all open in the winter, and this green space — home to half a milion cedar, fir, and hemlock trees — won’t necessarily be white when you visit. Vancouver is one of the warmest cities in Canada and rarely gets more than a dusting of snow. Ten minutes from town is Jasper National Park’s deepest canyon. 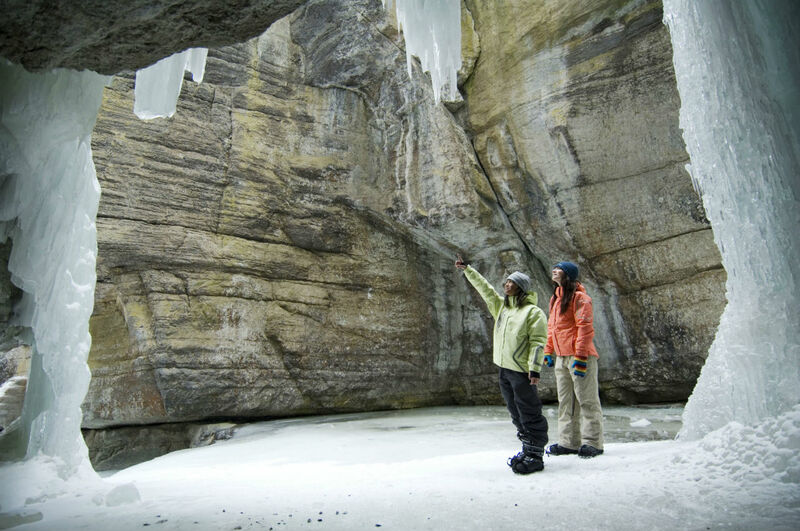 Hardy climbers take on Maligne’s frozen sheets of ice every winter, but anyone can put on cleats and walk the sides of the canyon, gawking at frozen falls and wild ice formations as they wander. In Saguenay–Lac-Saint-Jean, Monts-Valin National Park gets a lot of snow in January and February — so much that its evergreen trees start to resemble ghosts and frosty mummies. Hence the park’s infamously named Vallée des Fantômes (Valley of Ghosts), reached via 45 minutes aboard a snowcat minibus. From there you can snowshoe, cross-country ski, or Hok ski — a new sport that’s an incredible combination of snowshoeing and skiing.